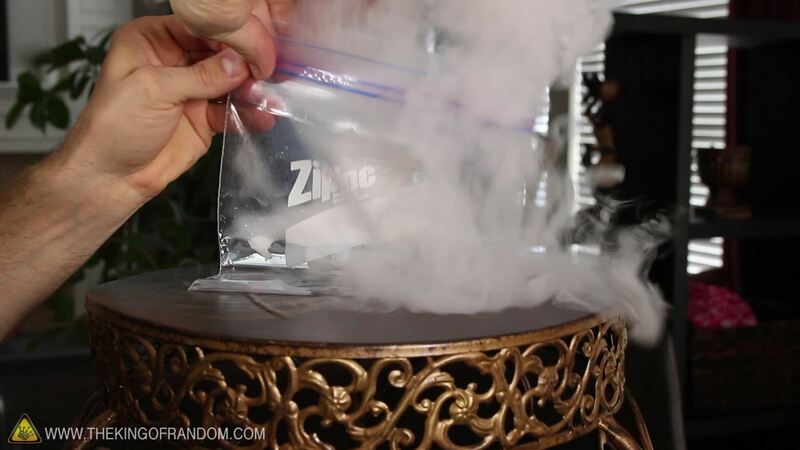 There's no reason to wait for Halloween to play with dry ice. 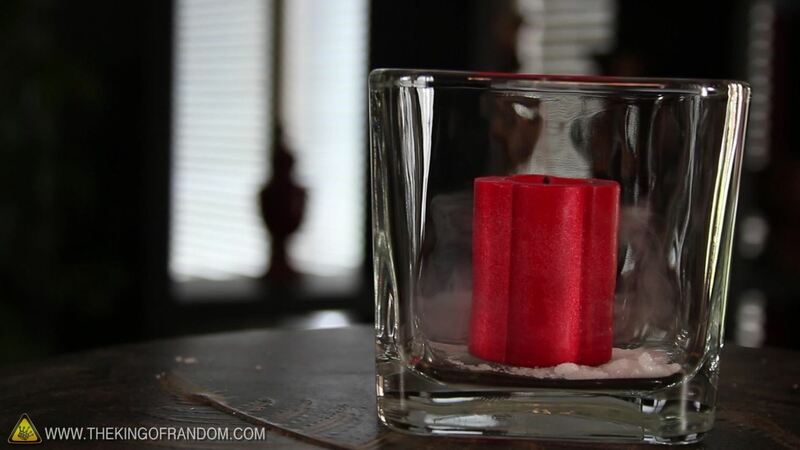 It definitely creates a creepy fog-like effect when you add a little water to it, but there are some other really cool things you can do wit dry ice. 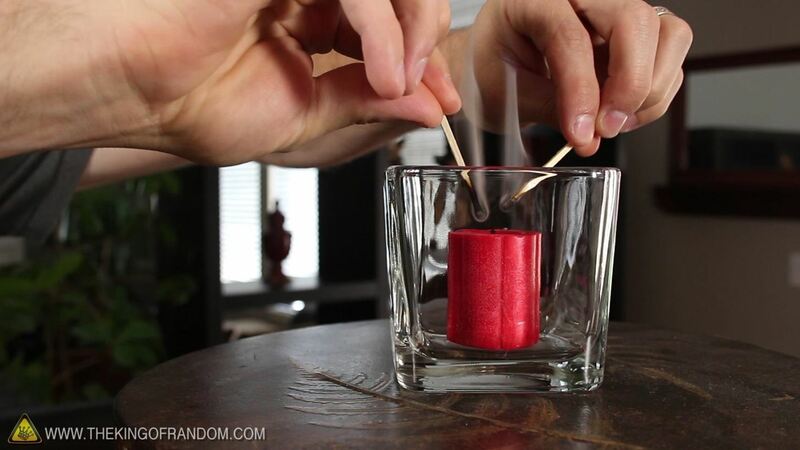 Here are just 5 non-Halloween ways to use dry ice for tricks or pranks. Where in the world do you get dry ice? Try searching Dry Ice Directory for a location near you. Use of video content is at own risk. Dry ice is -78°C and is very cold and poses risk for instant frostbite on bare skin. To avoid frostbite on bare skin, handling of dry ice should be approached with caution and attempted with gloves or other protection. There are risks associated with these projects that require adult supervision. 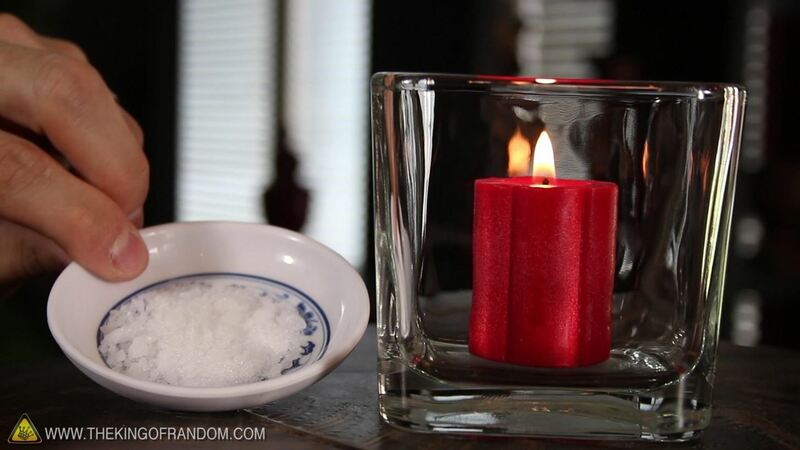 For this prank, take a flaming candle and place it down into a container like a bowl or a glass. 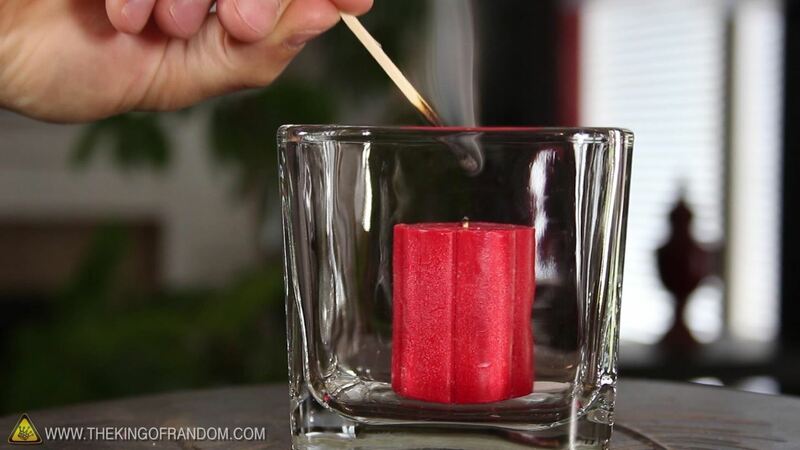 Carefully pour some crushed dry ice down around the base of the candle, and within just a few seconds, you'll notice the flame goes out and that the gas turns completely invisible. 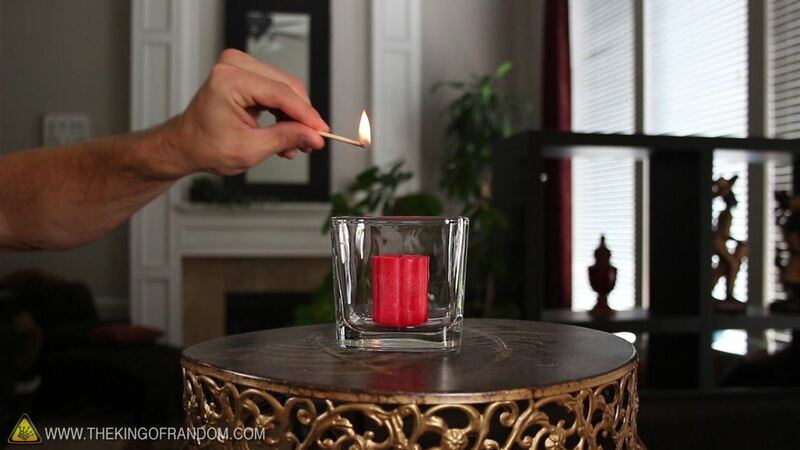 Now challenge one of your friends to try and relight the candle inside the glass. They won't be able to do it and they'll have no idea why. Even after multiple attempts, the flame goes out every time. Now simply blow into the top of the glass to push the gas out, and show your friends, that it really isn't that difficult after all. 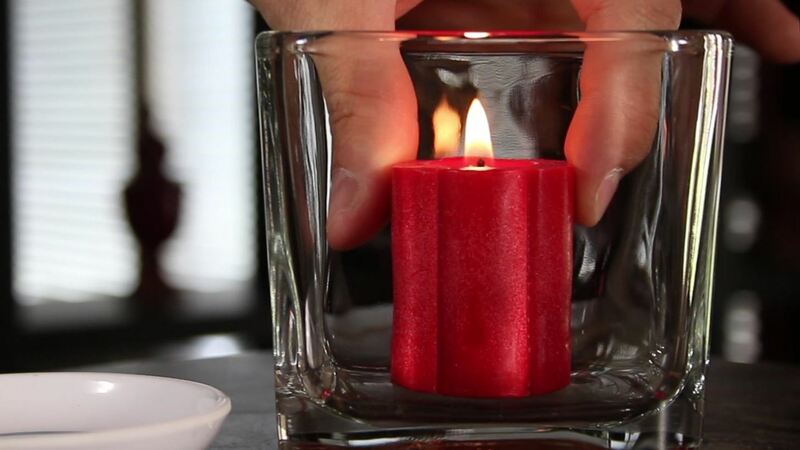 The candle with relight easily. 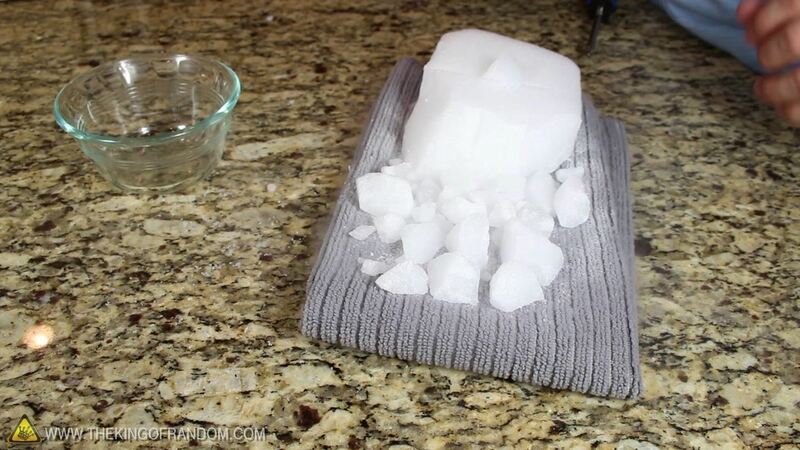 For this trick, find a block of dry ice and break it into pieces the size of small rocks. 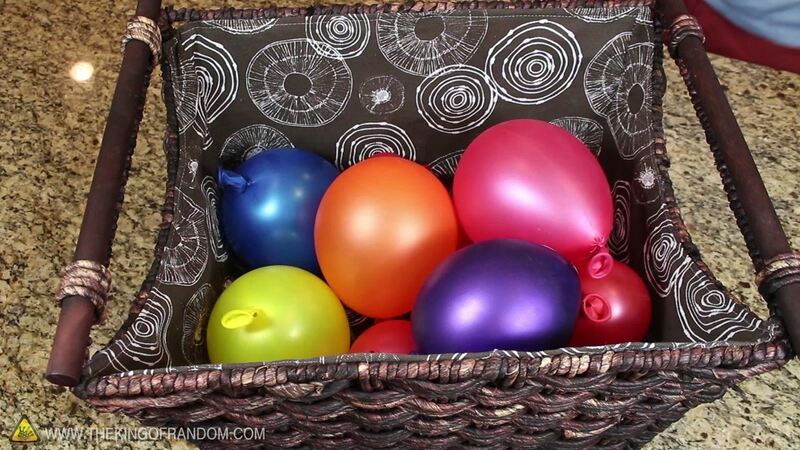 Carefully place one or two of the pieces inside of a balloon and tie it off. You'll notice the balloon begins to inflate all by itself. 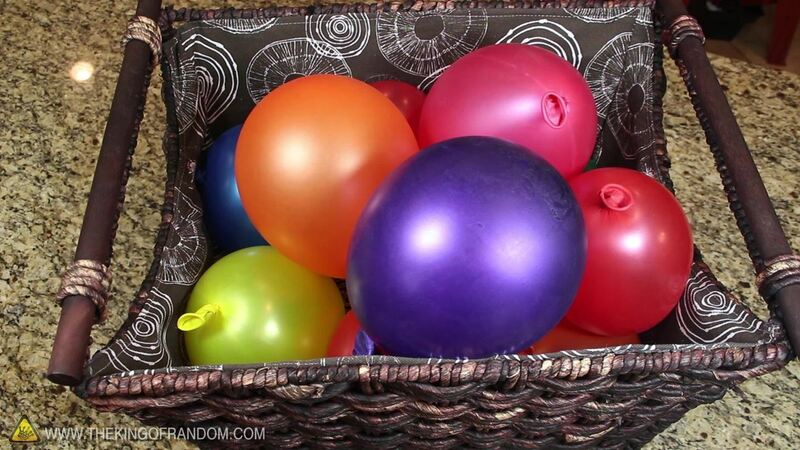 Now try doing this with a bunch of other balloons and throw them all into a basket. 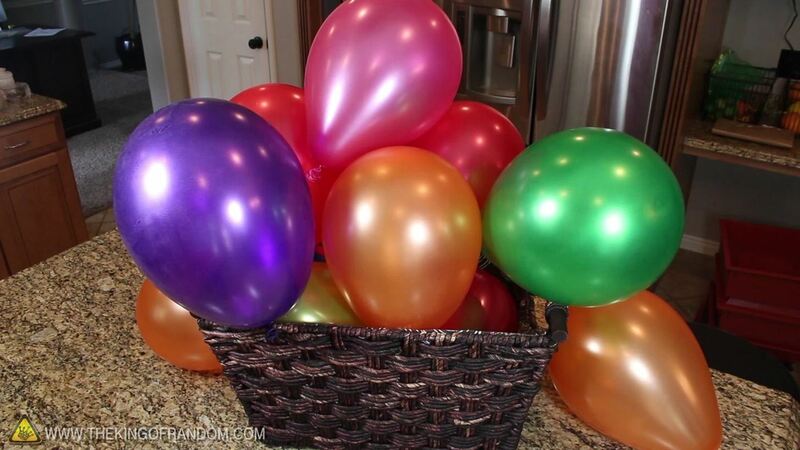 Over the course of about 25 minutes, the balloons will keep growing, until you've got a basket overflowing. 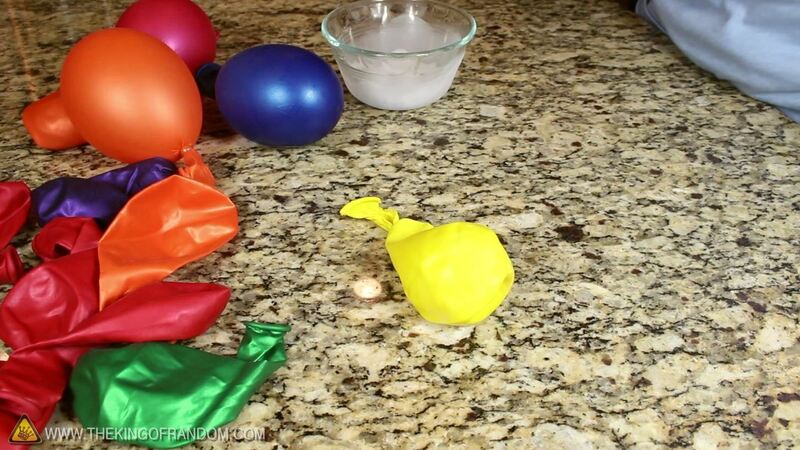 Start this prank by opening up a ziplock bag and adding a few chunks of dry ice, followed by a little bit of warm water. Now seal the bag so it's completely air-tight, and find a place to hide it. After a minute or two, the bag will be completely pressurized and ready to explode. It will make an impressive "Bang!" noise. Who could you scare with this? This is completely safe, and you can do it with heavy duty freezer bags as well. The plastic is a little thicker, so a bit more pressure can build before they go off. 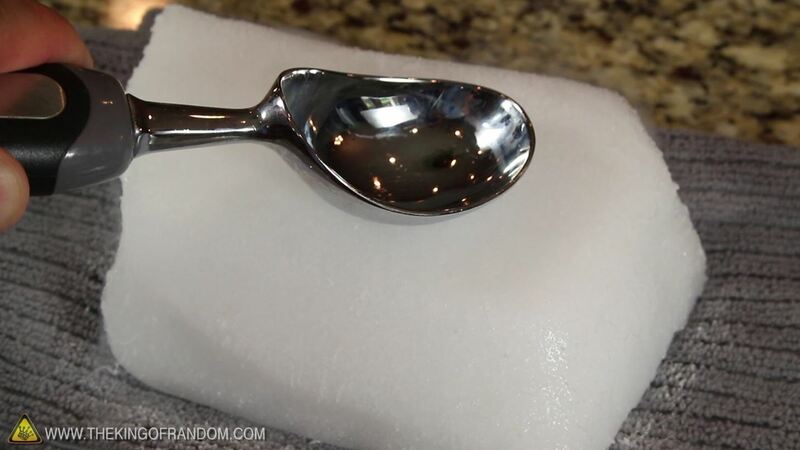 For this party trick, take a large metal spoon and press it down into a block of dry ice. It lets out an awful squeal, and people will beg you to stop. You can make a quarter scream the same way. Just lay it flat on the ice, and press down into it. 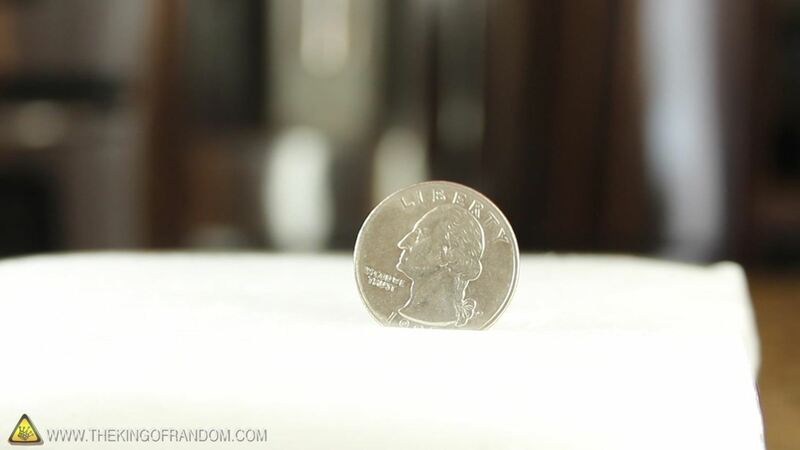 For a bonus trick, try sticking the quarter in sideways. It'll start shaking uncontrollably. By the way, It's probably a good idea to use gloves, because these get very cold very quickly. 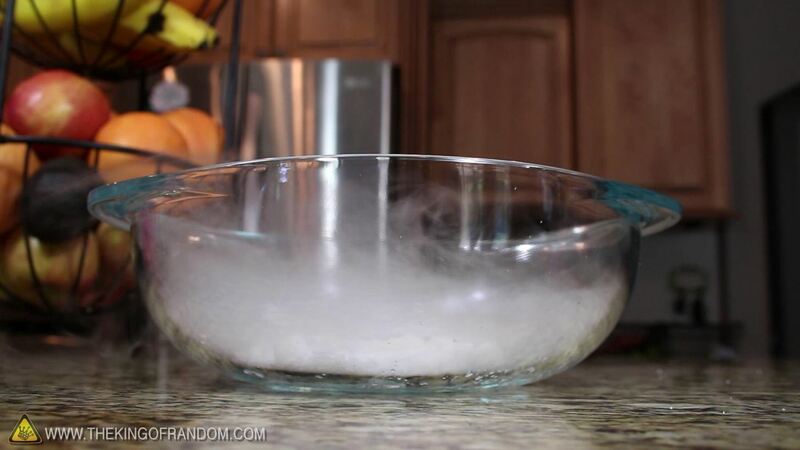 For this last trick, add some crushed dry ice into a large clear bowl. Now wait for the gas to fill it up, and turn invisible. At this point, try blowing the biggest bubble you can, and drop it right in the center. Instead of popping on the bottom, it levitates around in midair, and will make your friends wonder, "what kind of sorcery is this?" 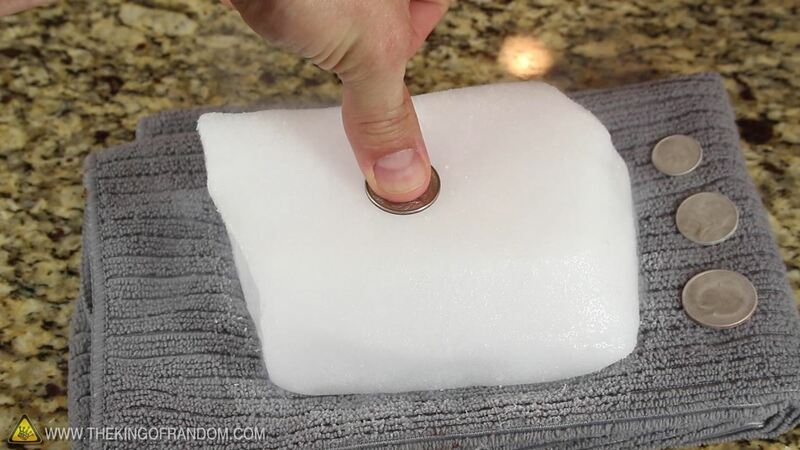 Well now you know a few tricks and pranks with dry ice that are super cool and easy to do. If you want to see more dry ice videos, check these out. Here's how to make dry-ice at home, or wherever you feel like it! All you need is a pillow case, and a CO2 fire extinguisher. Complete details here. 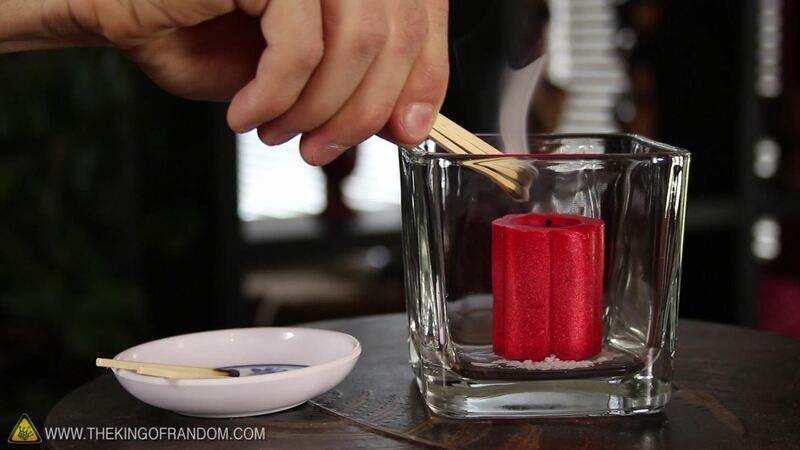 For this experiment, you'll need a bowl filled about half full with warm water, and place a few chunks of dry ice inside. You'll also need a cup filled with bubbles solution and a string. Complete details here. 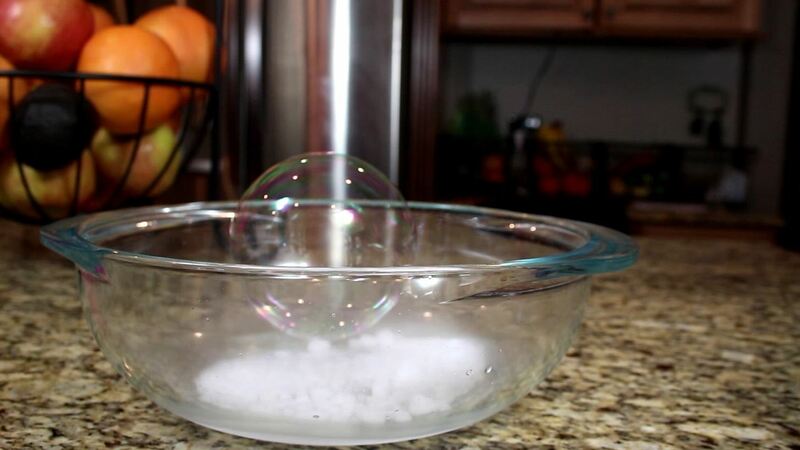 Now watch the monster dry ice bubble from above explode in reverse! And see what happens when you throw dry ice water into a potted plant. And what happens when you actually eat dry ice! If you liked these videos, perhaps you'll like some of my others. Check them out here on WonderHowTo or at thekingofrandom.com.